Dr. Ceaser graduated in 1999 from the National College of Naturopathic Medicine in Portland Oregon; the longest standing accredited Naturopathic College in North America. Prior to this four year full time medical program, he obtained a Bachelor of Science degree with honors from the University of Winnipeg (Biology). As part of his naturopathic training, he studied biochemistry, anatomy, physiology, lab diagnosis, dermatology, pediatrics and many other medical clinical courses. Dr. Ceaser began his career working at the Natural Health Sciences Research Clinic in Lake Oswego, Oregon where he researched natural medicines and in August of 2000, returned Winnipeg to open his private practice at the Winnipeg Naturopathic Clinic and the Charleswood Chiropractic Office. In May of 2009 Dr. Ceaser joined The Centre for Natural Pain Solutions as the centre’s leading naturopathic physician. Enhancing his extensive knowledge in natural therapies, Dr. Ceaser has advanced training in IV Therapy, prolotherapy, neural therapy, mesotherapy, mistletoe cancer treatment, CranioSacral Therapy, SomatoEmotional Release, homeopathy and oxidative therapies including ozone and hydrogen peroxide. He continues to seek out “cutting edge” treatments and has recently began PRP therapies to speed healing of joint injuries. 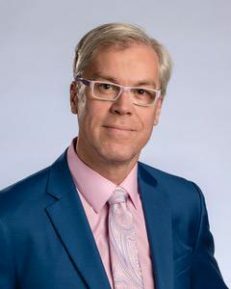 Dr. Ceaser has served as Instructor and Director of Curriculum at the Manitoba College of Homeopathic Medicine and is the first Naturopathic Physician to represent Complementary Therapy at the Health Sciences Centre, Mature Women’s Health Program. He is currently writing a book entitled “The GTT Method” which describes a method for stopping the diabetes epidemic and describes a novel way to determine the best diet for weight loss. © 2019 The Centre for Natural Pain Solutions. All Rights Reserved.